Sending profile to many people simultaneously! Era of no business card" has arrived!Fast profile exchange app "flap.to" now available on iPhone and Android"
You no longer have to worry about forgetting to bring your business cards or running out of them. 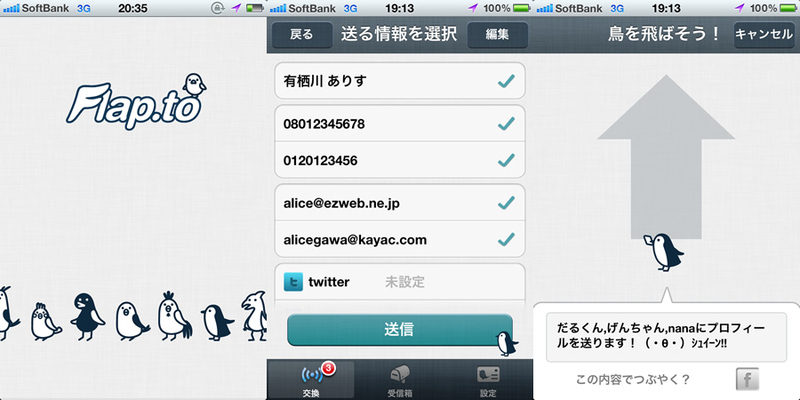 Using flap.to, you can exchange profiles with many people quickly and speedily. Once you install and activate the app, you can send your profile including your name and contact information in one simple operation after selecting who to send your profile to among those within a 100-meter radius.